FC Barcelona has reached an agreement with the player Marc-André ter Stegen to extend and improve his contract until 30 June 2022. His buy out clause now stands at 180 million euros. His new contract will be signed on Tuesday 30 May at 1.30pm CET at the Club Offices. 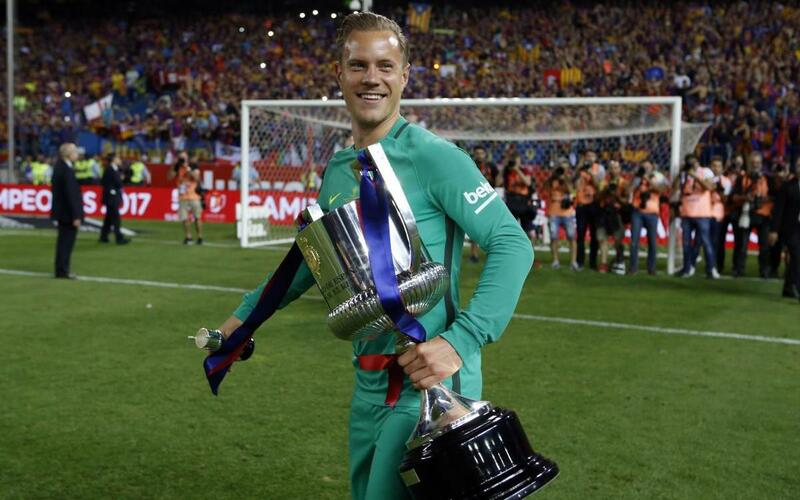 Marc-André ter Stegen has won nine trophies with Barça in three seasons, playing a key role in recent seasons in the team’s successes. Since coming to the Club he has won two league titles, three Copas del Rey, one Champions League, one Club World Cup, one Spanish Super Cup and one European Super Cup. The Barça keeper has become a fixture in the starting XI under Luis Enrique and is now without doubt one the leading players in the world in his position. In his 93 official matches in goal for the blaugranes he has recorded 71 wins, 10 draws and 12 defeats, conceding a total of 90 goals.